Arum maculatum is a plant that has earned itself close to a hundred nicknames, many of them in reference to its suggestive shape. Bearing an upward-thrusting spadix partially sheathed by a soft spathe, Lords and Ladies is one of its more acceptable common names. Keep reading to learn about how to grow Arum Lords and Ladies. 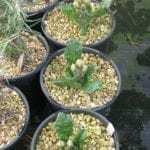 The Lords and Ladies plant is a perennial that prefers light shade and moist but well-drained soil. It is hardy to USDA zone 7b and grows well in the British Isles. Mature plants will reach a height of 12 to 18 inches and should be spaced 6 to 9 inches apart. The plant will flower in the spring and produce bright red-orange berries on top of a stalk in autumn. You should be aware, before planting it in your garden, that the Lords and Ladies plant is inedible. 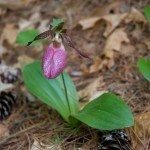 All parts of the plant, if eaten, can cause pain and irritation to the mouth, swelling to the throat, difficulty breathing, and upset stomach. The berries are particularly poisonous, so if you have young children or pets, you may want to avoid growing this plant in the garden altogether. That being said, serious harm rarely comes from ingesting Lords and Ladies, as the taste is so unpleasant no one ever gets far in eating it. One part that is edible, however, is the root, a tuber that looks a lot like a potato, which can be eaten and is quite good for you when baked. Arum maculatum is a perennial, but you can propagate it by digging up and dividing the tubers when they go dormant in autumn. Mark the spot you’ve planted each section to gauge the success of your propagation. Once established, this plant adds another level of interest to the garden with its interesting shape and berries. 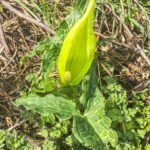 Read more articles about Lords and Ladies.